Telepathe, is a group that has more in common spiritually with Mannie Fresh (their hero) than someone like The Raincoats, but of all their tracks to choose, Rupture, a devoted Telepathe fanatic, and Shadetek grab the track with the forlorn guitar. And of all the parts to grab in a Telepathe song (there are a lot) this is the one they let simmer in the remix. They could have cumbia'd it up, grabbed an acapella and sat it over some two-stepping accordion, but they give it some melancholy "standing on the beach with a gun in my hand" punchiness. Rupture's love for this song is how you know he was a (post-)punk rock dude. 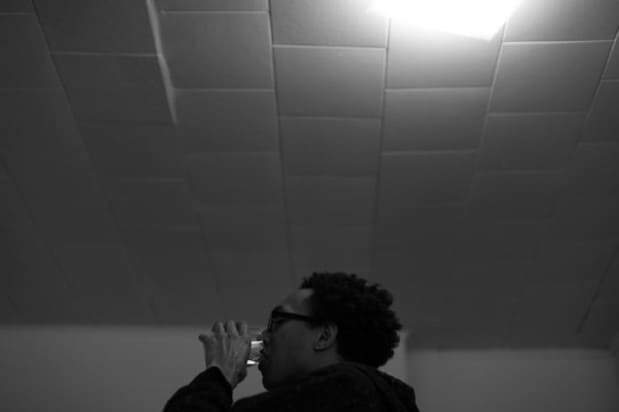 If you missed it, check out our interview with DJ/ Rupture about he and Shadetek's Solar Life Raft mix, from which this remix is taken.